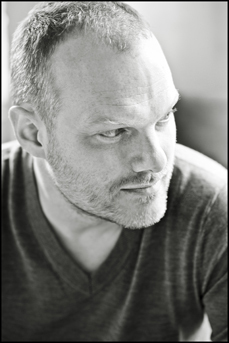 Lars Vogt has established himself as one of the leading musicians of his generation. Born in the German town of Düren in 1970, he first came to public attention when he won second prize at the 1990 Leeds International Piano Competition and since then has enjoyed a varied career. His versatility as an artist ranges from the core classical repertoire of Mozart, Beethoven, Schumann and Brahms to the romantics Grieg, Tchaikovsky and Rachmaninov through to the dazzling Lutoslawski concerto. Lars Vogt is now increasingly working with orchestras both as conductor and directing from the keyboard. His recent appointment as Music Director of the Royal Northern Sinfonia at the Sage, Gateshead reflects this new development in his career. Lars Vogt has performed with many of the world's great orchestras including the Royal Concertgebouw Orchestra, Berlin Philharmonic, Vienna Philharmonic, London Philharmonic, London Symphony Orchestra, New York Philharmonic, Boston Symphony, NHK Symphony and Orchestre de Paris. He has collaborated with some of the world's most prestigious conductors including Sir Simon Rattle, Mariss Jansons, Claudio Abbado and Andris Nelsons. His special relationship with the Berlin Philharmonic has continued with regular collaborations following his appointment as their first ever "pianist in Residence" in 2003/4. Lars Vogt enjoys a high profile as a chamber musician and in June 1998 he founded his own chamber festival in the village of Heimbach near Cologne. In 2005 he established a major educational programme "Rhapsody in School" which brings his colleagues to schools across Germany and Austria. He is also an accomplished and enthusiastic teacher and in 2013 was appointed Professor of Piano at the Hannover Conservatory of Music. Piano Trios Nos 3 & 4 "Dumky"